One of my favorite bloggers, Casey, over at We Took the Road Less Traveled is always posting about her adventures in Europe while living in Germany. I love reading her posts and it reminds me so much of the short five months I lived in England at my undergrad's British campus, Harlaxton College. 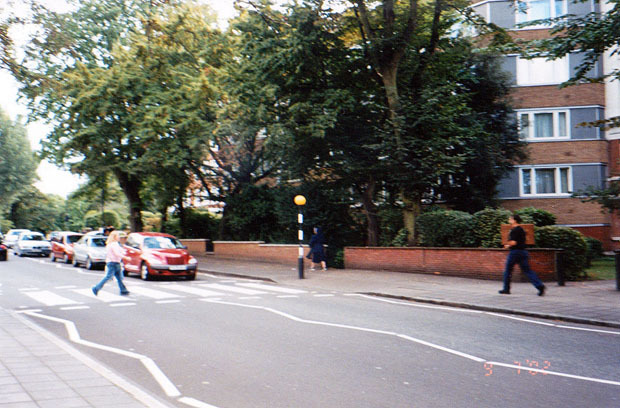 Emulating The Beatles: Walking across Abbey Road outside Abbey Road Studios. As the date shows on the photo, this was September 2002. I was a junior in college at the beginning of my amazing adventure in England. 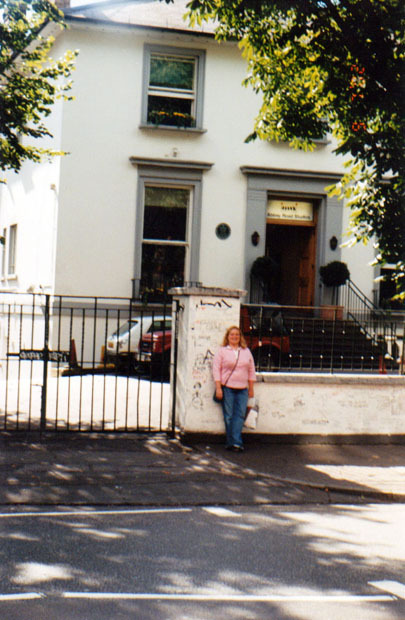 I've loved The Beatles for years so I was super excited to finally be able to visit Abbey Road and get my very own picture. Many other things happened during this London weekend such as a trip to the Tower and getting lost in Central London in the middle of the night, but they will have to wait until another Throwback Thursday. Til then Super Readers! Blah I miss it so much! !